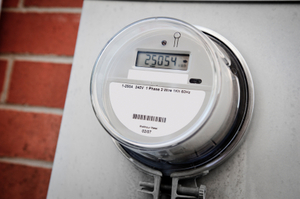 Is the Govt.’s Smart Meter Rollout Blocking Consumers from Switching? The national smart meter roll out is a government scheme that aims to see 26 million households across the UK fitted with a new type of energy meter by the year 2020. ‘Smart’ meters are dubbed so, as they are able to send energy consumption data directly to suppliers in real time, negating the need for manual readings or estimated bills. The smart meter rollout requires energy suppliers to install the updated energy systems in their customers’ homes and businesses across the UK. The meters are not mandatory – meaning customers can opt out if they so wish – but millions of commercial and domestic properties are to be fit with them over the coming years. There have been a number of concerns about smart meter technology since its initial announcement, including apprehension around privacy and the safety of data as it is transported between meter and supplier, as well as the physical health implications of the wireless transmissions smart meters’ functionality relies on. Yet another issue with smart meter technology has recently been raised – that the meters are effectively ‘locked’ to the energy supplier that installs them. Due to ‘configurability issues’, each of the UK’s energy suppliers has designed their own smart meter for customers, using their own technology. This means that the meters’ ‘smartness’ is not transferrable between different suppliers. If Supplier A were to fit a smart meter in a customer’s house, and that customer subsequently wished to switch to Supplier B for their energy, the smart meter would not be able to automatically transmit information to Supplier B – but it could still be used as a regular, old-style meter. This effectively means that energy consumers with smart meters have to make the choice between the smart meter technology and the freedom to switch energy suppliers for a better deal. Despite the government’s best efforts to reduce energy costs for customers through the accurate billing that smart meters offer, they may actually be making it more difficult for customer to save by blocking the option to switch. Considering the government’s recent efforts – not to mention the nationwide campaign – to encourage consumers to switch, are smart meters counterintuitive to this goal?